The Davitt Awards: Have they wounded the masculinity of Australian crime fiction? 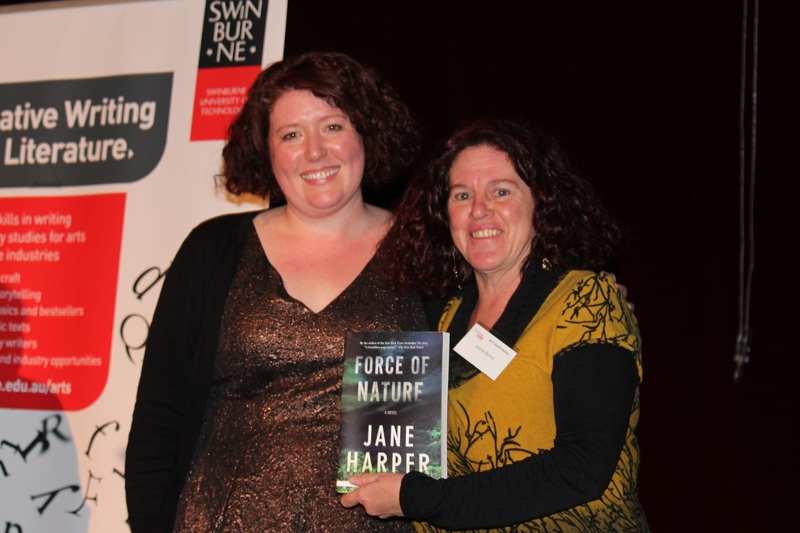 Jessie Byrne, a Sisters in Crime member from South Australia (pictured here with Davitt Award winner Jane Harper in 2017), is doing a creative PhD which involves her writing a crime novel plus a 20,000 word exegesis on Sisters in Crime Davitt Awards. The Davitt Awards for crime writing by Australian women were established by Sisters in Crime Australia in 2001 in response to the low number of women winning awards within Australia’s crime-writing Ned Kelly Awards. In the 17 years since their establishment, the Davitts have garnered greater recognition for women crime writers. However, it is less clear what impact they have had on, if indeed they have wounded, the masculine nature of the crime genre itself in which solo, tough-guy private eyes solve crimes through a combination of reason and violence. This paper provides a comparative analysis of the winners of the Ned Kelly Awards Best Fiction winners and the Davitt Awards Best Adult Novel winners. It provides a quantitative comparison of the gender of the authors within each award as well as of three narrative elements relating to the main protagonist of each novel: their gender, their occupation and their family status. These three elements, the paper argues, are useful signifiers of gendered approaches to the genre. It concludes that the Davitt Awards have provided spaces for less masculine crime fiction within Australia through the greater recognition of female writers and protagonists and through formulating protagonists with professional and personal experiences that fall outside the limitations of hegemonic masculinity. The wounding of masculinity, however, is non-fatal, with the persistence of masculinist tropes in both the Ned Kelly and Davitt adult fiction winners.